"If you leave, I'll still do it." This is an intriguing film that may not show up in US theaters for quite some time. 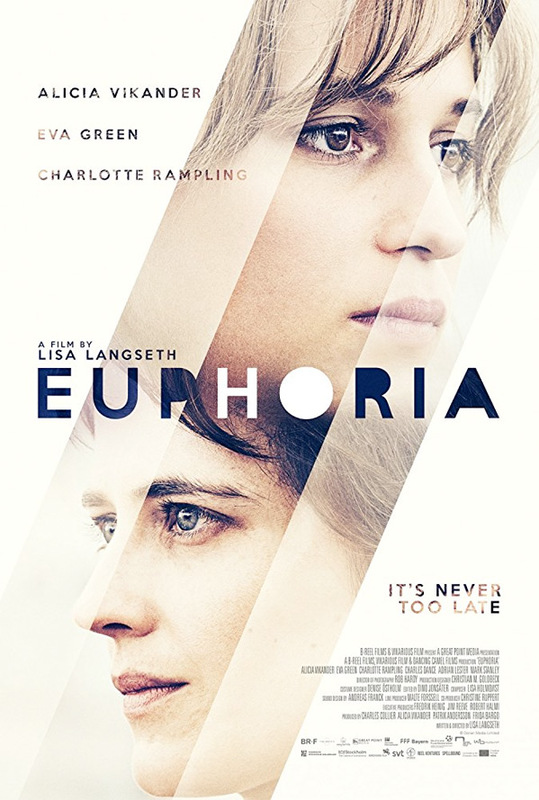 Euphoria is the latest film from Swedish filmmaker Lisa Langseth, her first English language feature, and it stars two incredible actors: Eva Green and Alicia Vikander. The story follows these sisters as they travel through Europe to a beautiful country mansion. At first we're not sure why they're going there, but soon discover that one of them wants to go there to end her life. The cast also includes the great Charlotte Rampling with a strong presence throughout, as well as Charles Dance, Mark Stanley, and Adrian Lester. This is our first look at a full trailer and I am very curious about this film, though the buzz seems to be mixed. I like the whole "freedom of choice" concept and I'm curious to see what revelations this contains. Two sisters in conflict, Ines (Alicia Vikander) and Emilie (Eva Green), travel through Europe towards a mystery destination. When they arrive at the sun-soaked country manor house, the true purpose of the rip slowly begins to dawn on Ines. Euphoria is both written and directed by up-and-coming Swedish filmmaker Lisa Langseth, of the films Pure and Hotell previously. This first premiered at the Toronto Film Festival this year, and also played at the Zurich and Busan Film Festivals recently. The film will initially open in Sweden in early February 2018, but doesn't have any official US release date set because it still needs a distributor. Stay tuned for more updates on Euphoria if you're interested. First impression? Your thoughts?